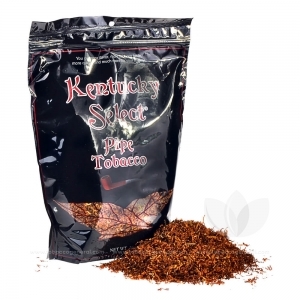 Bold, regular and full flavored, this is the most traditional tobacco that Kentucky Select makes. Featuring a medium cut with limited shake, this tobacco focuses on achieving its flavor from natural tobacco instead of relying on chemicals. Each bag is created using a unique processing method to bring out the all natural flavors of the tobaccos and deliver an uncompromised smoke. I'm new to rolling my own. I use top o matic. Zen papers. I've had no problems. The Kentucky Red is comparable to Marlboro, but a little weaker. Some harsh hits. Few stems. Perfect moisture content upon arrival, but dries out quickly if left open. I originally bought 2 lbs. Worked for me, so I ordered another 5 lbs. I'll use this and search for a tobacco that's just as strong without the harshness. If I can't easily find anything better, I can stick with Kentucky Red at $12 per lb.